I remain amazed that RELIANCE and crew tell us when to speed up and when to slow down. I’ve been pushing to get going on laying the cork deck on RELIANCE, but she kept telling us it wasn’t time and our volunteers seemed to have other plans keeping them occupied at home. So our focus shifted to other urgent RELIANCE matters. While there I visited their library and found a huge scrapbook of RELIANCE and the 1903 Cup series. I quickly scanned through hundreds of articles, finding one about her launching. At the very, very end of a one page article in THE SUN dated April 12, 1903 I found notation of canvas laid over her aluminum deck. It simply couldn’t be that we were about to embark the next day on laying the wrong material on deck? After a sleepless night I told the crew Tuesday morning that we needed to do some more research, and I put out an international email to experts for what they knew. Some replied with articles supporting cork solutions, even one specifying 1/8 inch thick cork. But Claas van der Linde sent two very compelling articles supporting canvas and our Roger Williams University intern Chris Vitale found a June 1903 article by W.P. 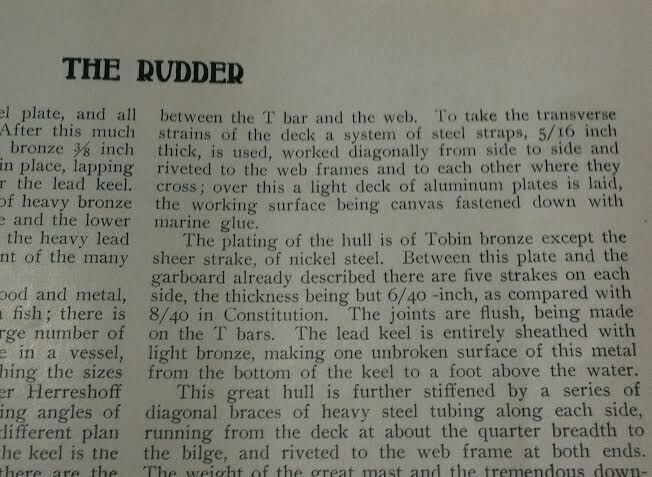 Stevens in “The Rudder” magazine confirming canvas. It isn’t that we hadn’t done our research. We had spent significant time and had found a number of published sources pointing to towards cork. RELIANCE knew it just wasn’t time…. This entry was posted in Project Manager's Welcome and tagged Canvas Deck, Chris Vitale, Claas van der linde, cork deck, RELIANCE, Reliance research on February 18, 2014 by Herreshoff Marine Museum/America's Cup Hall of Fame. We are in the February 2014 issue of Classic Boat Magazine – a one page article on RELIANCE in a European magazine. Wow!! The full article is not online… yet. But check here for more info on Classic Boat Magazine and pick up a copy of the February issue. This entry was posted in Project Manager's Welcome and tagged classic boat, classic boat February issue on February 15, 2014 by Herreshoff Marine Museum/America's Cup Hall of Fame. We just received some pictures from the MET School in Newport RI which has been taking our bollards and winch drawings into CAD and then 3-D printing them to use a bronze casting masters. For the current time, we have only pictures of one team member, but we’ll add more as they are received. Just couldn’t wait to show you these! 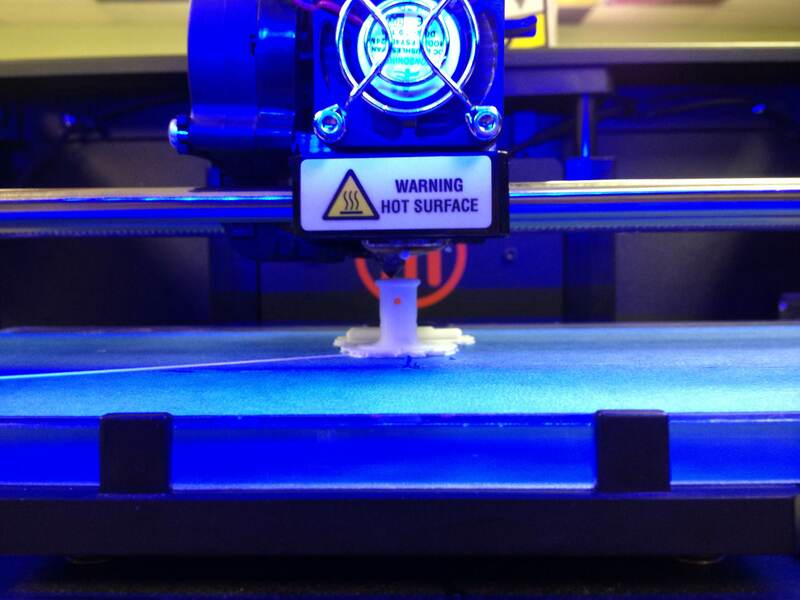 We’d like to expand our use of 3-D Printing on our project, for boat restorations, and for museum exhibits. Exciting times ahead!!! 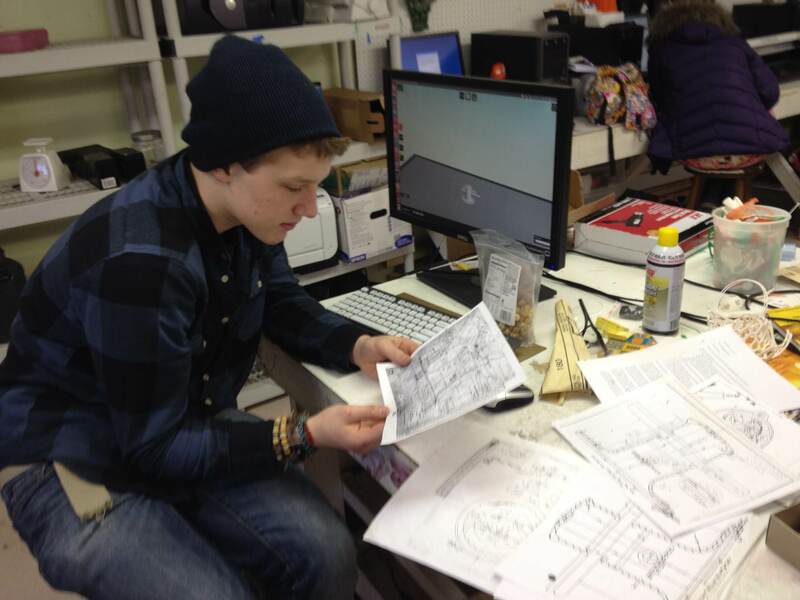 This entry was posted in Project Manager's Welcome and tagged 3D Printing, CAD, MET School on February 5, 2014 by Herreshoff Marine Museum/America's Cup Hall of Fame.